But at last, I have succeeded. 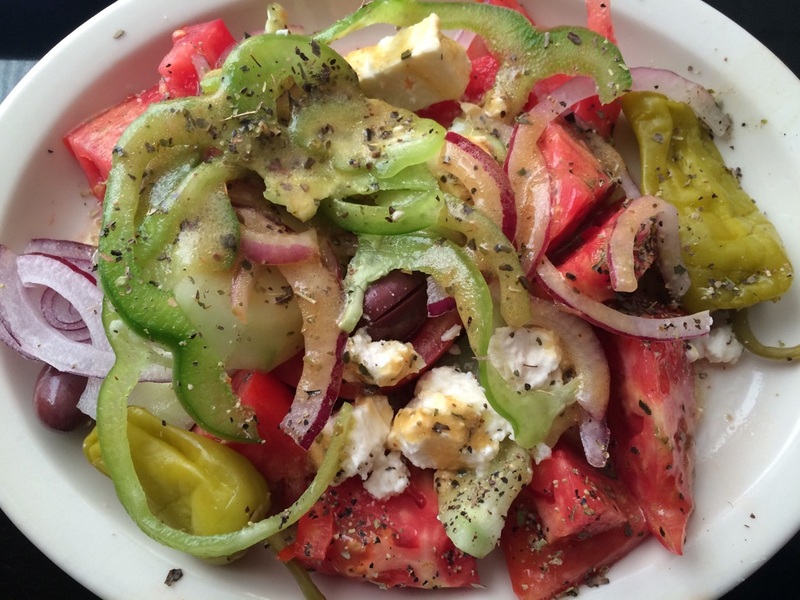 Enter The Mad Greek – that little building you may pass on South Blvd without much thought. I cannot even explain how much I already love this place after one visit. Do you SEE that village salad?? I could happily eat one of those every day. I also wanted to order everything on the menu so I really had to take a breath and make some decisions. 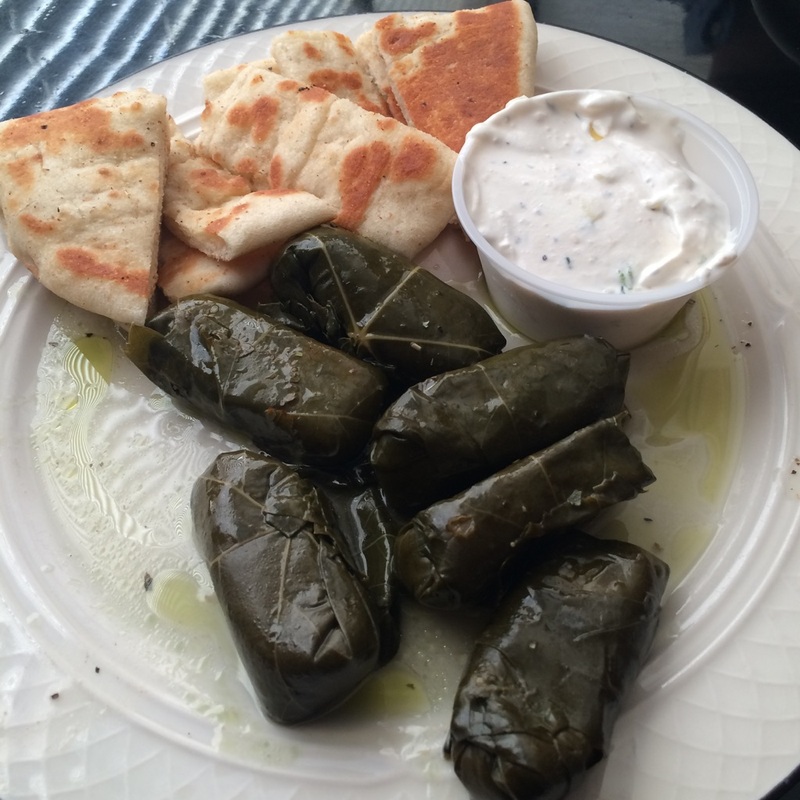 We ordered grape leaves (dolmades), which were very good (although I’ll always think my aunt’s homemade dolmades are the best out there). Next came the meat. I’m sort of a critic when it comes to gyro meat, so believe me when I say this stuff was GOOD. 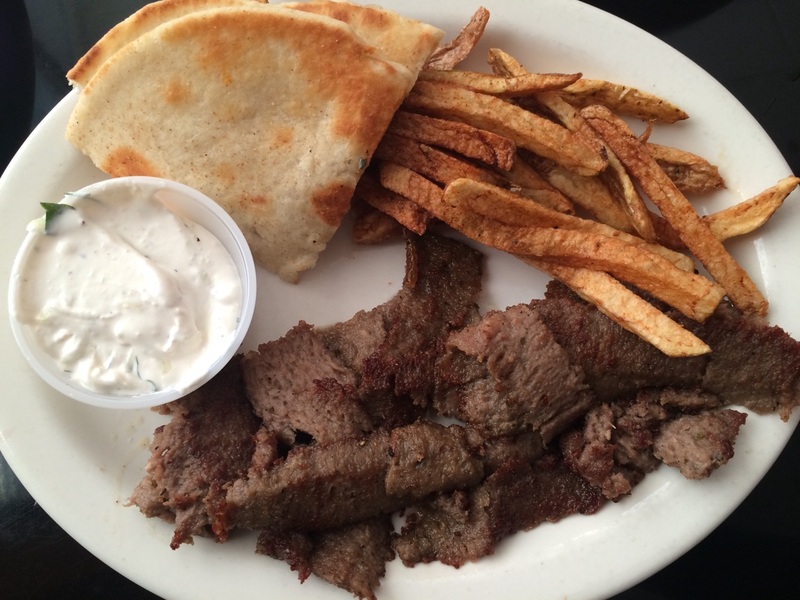 I ordered the Gyro Dinner: super tender and flavorful gyro meat, bangin’ pita bread and delicious tsatsiki. Even the fries were delicious. Seriously this place is the bomb. Next time you drive past The Mad Greek, turn right back around and get in there!!! You won’t regret it. Side note: The Charlotte Greek Festival hits East Blvd. this Thursday-Sunday, Sept. 10-13! It will my first visit to this particular Greek fest, so I’m super excited. Follow me on Instagram (@eatdrinkclt) for pics!